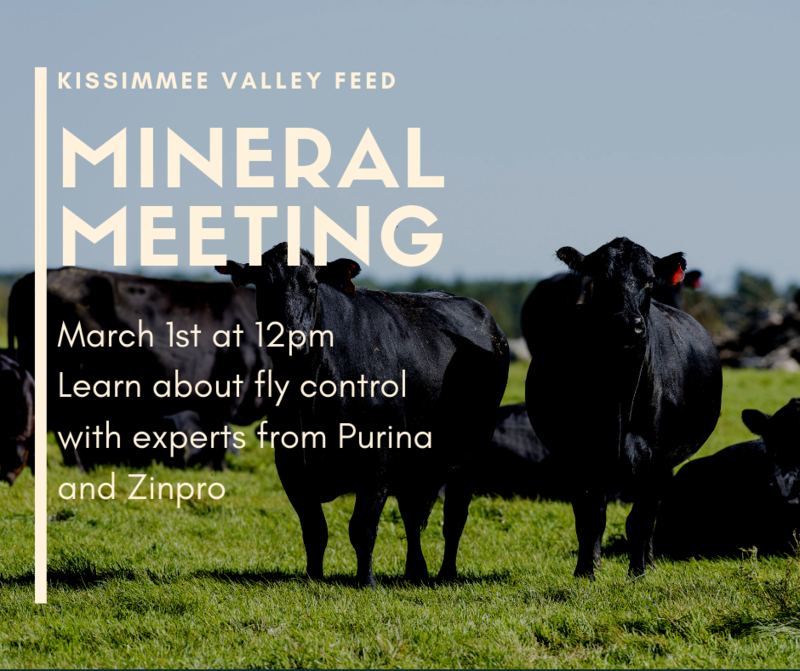 Martha Moen, Ph.D. with Purina Animal Nutrition discussed the importance of quality minerals for your herd and the timeliness of a fly control program. 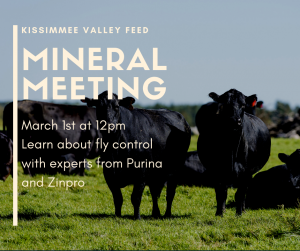 Jacob Sparkman with Zinpro Performance Minerals discussed the opportunity of adding AVALA 4 to your mineral and the improvements these organic trace minerals can have on your herd. Bring your questions to this family-friendly event. Lunch will be provided. RSVP below to reserve your spot. The workshop is held at our original Kissimmee Valley Feed store located at 1501 Eastern Avenue, Saint Cloud 34769. This entry was posted on Tuesday, January 29th, 2019 at 7:32 pm	and is filed under Cattle, Events, News & Updates. You can follow any responses to this entry through the RSS 2.0 feed. Both comments and pings are currently closed.